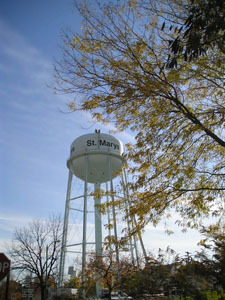 The St. Marys water tower is being cleaned and painted. The contractor, Scrub A Home from Saline, Mich., is priming rusted areas before the fresh paint goes on. The $60,000 project, which began in August, is expected to be completed in the next few weeks.